When a web­site is cre­at­ed, typ­i­cal­ly a graph­ic design­er cre­ates the look, and a fron­tend devel­op­er imple­ments it. There may be a few oth­er roles mixed in, such as peo­ple who do mar­ket­ing, SEO, UX, etc., but that’s the basic flow. What’s miss­ing from this equa­tion is the client. With­out the con­tent from the client, the web­site is essen­tial­ly an emp­ty shell. The client needs to be able to cre­ate and mod­i­fy con­tent to suit their needs; that’s the entire point of using a Con­tent Man­age­ment Sys­tem (CMS) to begin with. So how do we pro­vide the client with a good con­tent author­ing expe­ri­ence? In the past, the Rich Text field has been used as a way to pro­vide the client with the abil­i­ty to enter the for­mat­ted text and images that they might want on the page. The prob­lem is that it pro­vides a hor­ri­ble con­tent author­ing expe­ri­ence, from the point of view that the client can end up mak­ing a mess of things. And this isn’t their fault! It’s our fault as frontend developers for not doing our job. I can’t tell you how many times I’ve been talk­ing to a fron­tend devel­op­er, and they roll their eyes when speak­ing about what ​“the client did to the site”. Well, no. You gave them the pow­er to do it, it’s your fault for not design­ing the con­tent entry in a way that doesn’t allow the client to ​“screw it up”. The peo­ple we build web­sites for may or may not be adept at tech­nol­o­gy or design, but it’s very like­ly they are quite good at their jobs. It’s some­what unfair to blame them for what they end up doing if they aren’t giv­en appro­pri­ate guid­ance and constraints. Instead of a free-for-all Rich Text field, a bet­ter way is to cre­ate a ​“con­tent builder” for your clients to use, with Craft CMS’s Matrix Block as a basis. I wasn’t plan­ning to write this arti­cle, since there are a num­ber of good resources avail­able already on the Matrix Block as a con­tent builder, such as Craft CMS Con­tent Builder: The Client Expe­ri­ence and Matrix as a Lay­out Builder. How­ev­er, I had sev­er­al peo­ple ask me about it recent­ly, so I fig­ured it couldn’t hurt to toss my hat into the ring. Plus, I think there is some­thing com­pelling about using this blog in a self-ref­er­en­tial way to show how this blog is built. So let’s get to it! 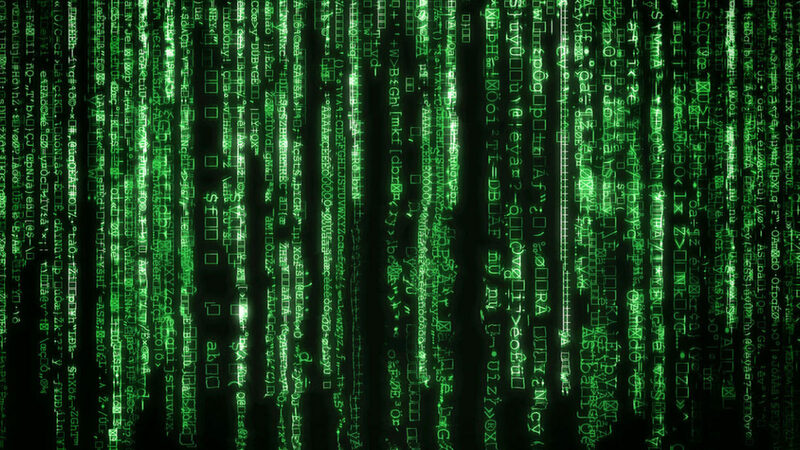 The gen­er­al idea behind using the Matrix as a con­tent builder is that we cre­ate Block Types for each type of con­tent that the client might need to enter. This allows our design­ers to design how these blocks should look, and it gives the client a frame­work that they can use to pop­u­late them with­out going off into the weeds. We are essen­tial­ly using our exper­tise to pro­vide a nice­ly designed box that the client can put the con­tent that makes their web­site unique into. We aren’t eschew­ing the Rich Text field entire­ly, but rather we’re pro­vid­ing it in a con­strained context. Instead of the “kitchen sink” approach to using Rich Text fields, we’re providing a hand-crafted solution that fits the client’s needs exactly. The con­tent builder used to cre­ate the blog you’re read­ing right now is a sim­ple one. But I think that also makes it good for illus­tra­tion pur­pos­es, so that the core prin­ci­ples are explained clear­ly. You do can far, far more with Matrix as a con­tent builder than I present here. The blockPrefix is used so that I can have the same code pat­terns for the Google AMP ver­sion of the blog con­tent builder; the Twig tem­plate par­tials are just pre­fixed with _amp. The lazyImage vari­able is used so that the first image block we present is not a lazy loaded image, but every­thing after it is. I could have used ignore missing in the include direc­tive to tell it to grace­ful­ly fail if the tem­plate it’s try­ing to include doesn’t exist, but I’d rather have it throw a Twig error in this case, rather than have it silent­ly fail. It’s also pos­si­ble to have include use a default tem­plate if the tem­plate it’s look­ing for is miss­ing; use what­ev­er pat­tern works best for you. The cool thing about a set­up like this is that if you want to add a new block type, you just cre­ate it in the AdminCP, and then cre­ate the appro­pri­ate­ly named Twig tem­plate par­tial, and away you go. Every­thing has a neat 1:1 cor­re­spon­dence, and is nice­ly mod­u­lar­ized. DRY, as the cool kids call it. Link Show Me the Blocks! So now that you’ve seen how we include these Twig tem­plate par­tials, let’s take a clos­er look at how they are built. If we want­ed to add more image types, or more con­trol over how the images are dis­played or what have you, it would be pret­ty easy to add them. Not a whole lot to see here, this just ren­ders out our Rich Text blocks (for which I pro­vide a lim­it­ed sub­set of edi­tor capa­bil­i­ties, to keep it from get­ting messy), with an option­al headline. We use the fan­tas­tic Typogri­fy plu­g­in to ensure that we get nice curly quotes, no wid­ows, and oth­er typo­graph­i­cal fea­tures auto­mat­i­cal­ly, with­out the client hav­ing to know how to do them! This is the code I use to, well, present code! We’re using the awe­some Pris­mJS to dis­play it nice­ly for­mat­ted. I build the prism.min.js myself via Gulp to ensure it includes the lan­guages that I want syn­tax highlighted. If noth­ing else, it’ll make your graph­ic design­ers hap­py, and increase the odds that when you look at the web­site a year or two after deliv­er­ing it to the client, that it hasn’t become an eye­sore that you’re ten­ta­tive about link­ing to from your ​“Our Clients” page.